Fatme Faraj took Maples from the 12th percentile to the 70th percentile in six years. Brian Whiston heads up the Michigan Department of Education, and he's the one who pitched the partnership model as an alternative to closure. 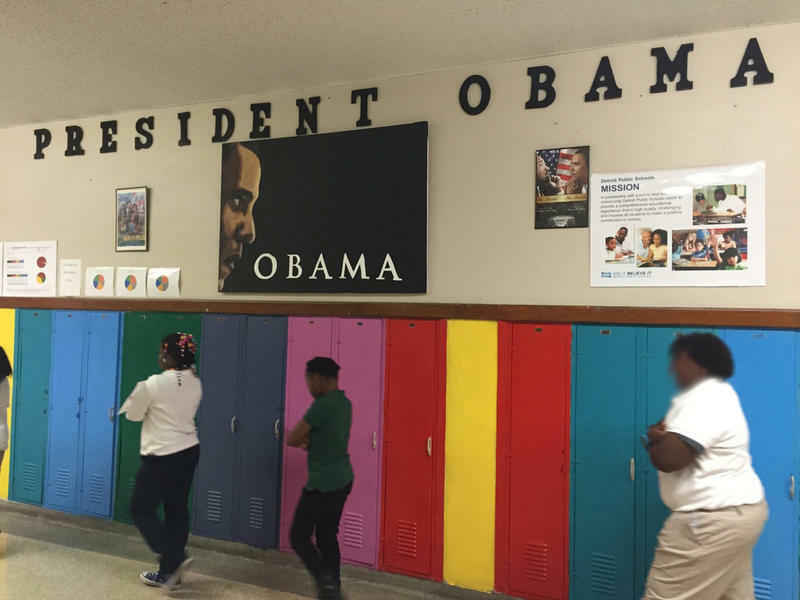 It's a model that's based in large part on a turnaround model he helped oversee before he got to Lansing, back when he was superintendent of Dearborn Public Schools. 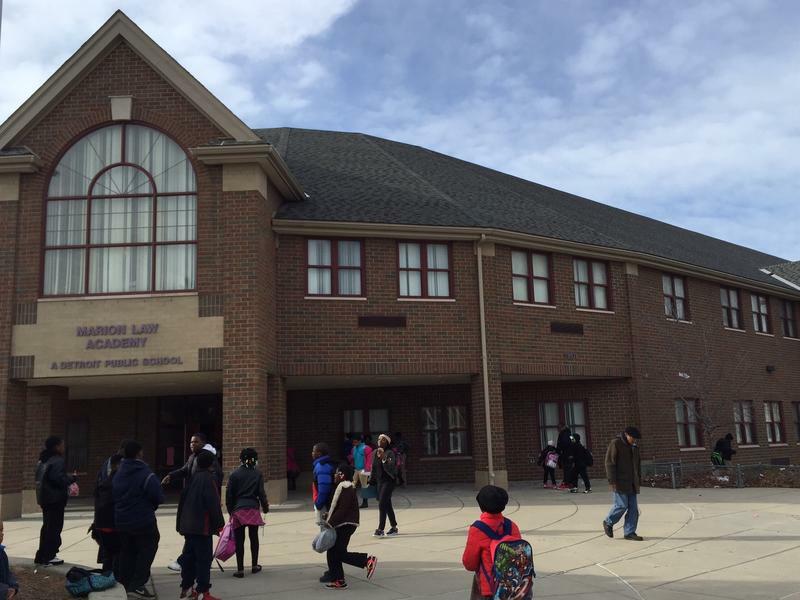 Maples Elementary is a high-poverty school in Dearborn filled with immigrants and refugees from the Middle East, the vast majority of students are English language learners. Back in 2010, the school was in the 12th percentile on the state's top-to-bottom ranking. So Whiston called up Fatme Faraj, an assistant principal at another school in the district, and asked her if she'd take over as principal at Maples and turn it around. After a little bit of hesitation, Faraj said yes. She took Maples from the 12th percentile to the 70th percentile in six years. So how does the partnership model work? "...it was not only the teachers, myself, the secretaries and the school staff. We had to create a strong partnership with the parents and the community." Fatme Faraj says the first thing she did when she got to the school was look at the data. "Everything we did was based on data," she said. She did not look at the data in isolation, but rather with the teachers and staff at the school. Together they identified weaknesses and tackled them, one at a time. They hired reading and writing coaches for the kids, and aides to help out in each classroom. Faraj also made a point to partner with everyone. "To create that partnership, it was not only the teachers, myself, the secretaries and the school staff. We had to create a strong partnership with the parents and the community," said Faraj. It was important, she says, to make sure everyone felt "ownership" over the turnaround plan. In her eyes, everyone was a "stakeholder." "...we took care of the whole child, not just the academic needs of the child." Secretaries at the front task were tasked with boosting attendance rates. Parents were encouraged to engage with the school on a deeper level than just ice cream socials and pizza sales. There were regular telephone calls home, weekly check-ins with the most at-risk students and their parents, even home visits on occasion. The school created a blog, in Arabic and English, to let parents know what was happening at school, how the test works, what the grades meant. Parent engagement soon soared after that. Only five or six people would show up for the monthly parent meetings before Faraj took over, but a few months into her tenure, 150-200 parents were showing up for the meetings, sometimes more. Faraj also enlisted the help of the community to offer their services, free of charge, to help alleviate some of the effects of poverty. Everyone from doctors and dentists to social workers. "Donations, eye glasses, you name it, we took care of the whole child, not just the academic needs of the child," said Faraj. She also had "full support of the district," which Faraj says was very helpful; she didn't feel hemmed in when making staff choices or implementing new strategies or interventions. Faraj worked closely with the teachers, too, to set realistic goals -- stressing gradual student growth, not immediate proficiency. "It wasn’t a threatening environment," said Faraj. "As long as you make growth," she told them, "you'll be good." The resource room at Maples Elementary is filled with the most up-to-date data, which the school uses to set goals and determine interventions. "If I'm going to set this goal with this student, what are you doing to help me? And who’s going to be in my room to continue interventions?" Marvaso says there was never an initiative that was introduced at Maples without the staff getting the support they needed to make it successful. That kind of "constant support" made all the difference to Marvaso and her colleague Hilda Irani, another Maples veteran. Iraini had been a resource teacher at Maples for over a decade by the time Faraj came on the scene, and she says she and her colleagues were constantly "spinning our wheels," trying to figure out how to improve outcomes for their students. "We were already a hardworking staff, we just needed a good leader" to come in and guide us, says Irani. And that - in a nutshell - is the lifeline the state is offering to the 38 schools slated for possible closure. A turnaround model where everyone works together to address the effects of poverty in the building in a realistic, consistent and holistic way. And having a dedicated, passionate principal at the helm is essential. "If we could clone Fatme Faraj 25 different times," jokes teacher Jill Marvaso, "and she was available to be in 25 different places at one time, then we could make lots of progress." If any of the 38 schools on the possible closure list agree to go ahead with the partnership deal, they’ve got sixty days to come up with an agreed upon plan and set some goals, and 18 months to make good on those goals. If an agreement between the state and the district and schools cannot be met, then the "next level of accountability would be implemented," which could mean closure.